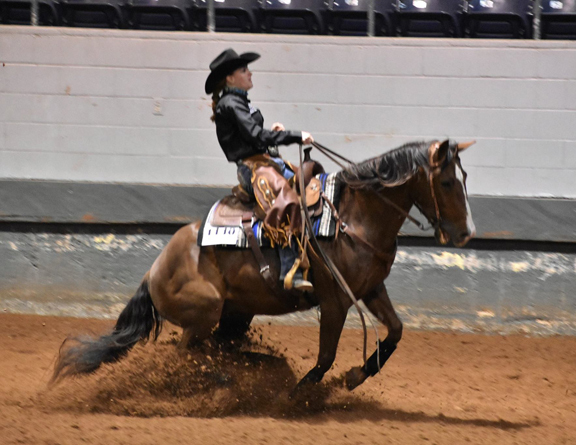 Seven MTSU Students traveled to Sweetwater, Texas to show at the American Stock Horse Association (ASHA) 2018 National Championships, April 20-22. They competed individually and against other Division I and II schools across the country. They riders are coached by Andrea Rego. Lucas Brock placed first in Pleasure and reserve in Reining. Jenna Seal placed second in Pleasure and first in Reining. Jennifer Dowd placed sixth in Pleasure and Reining. Caroline Blackstone took fourth in Novice Pleasure, and sixth in Novice Reining. Mary Catherine Wade tied for fifth in Novice Pleasure, sixth in Trail, and third in Reining. Patricia Wingate tied for fifth in Novice Pleasure. Lindsay Kate Gilleland entered the Youth 14-18 division at the last minute and was currently leading in the All-Around High Point for her Trail Pleasure, and Reining runs! Coach Andrea Rego was Reserve Champion overall in Open Trail. Lucas Brock was Reserve Champion overall in Limited Non Pro Cow Horse and Trail. He finished fourth overall in Collegiate Trail. Jessica Starling placed twelfth in a very competitive Collegiate Limited Non Pro Trail. Caroline Blackstone was seventh overall in Novice Cow Horse. 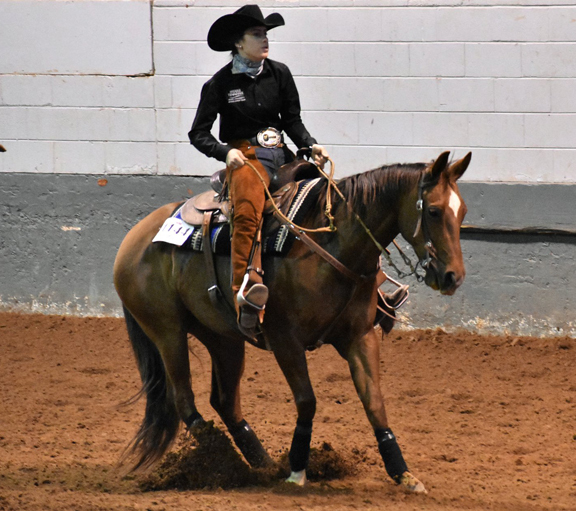 Patricia Wingate clenched the title for Collegiate Novice Champion in Trail and placed eighth overall in Novice Cow Horse. Mary Catherine Wade was sixth overall in Novice Cow Horse and Trail. Jennifer Dowd maintained the top five placings in Green Horse Trail and Cow Horse. Jenna Seal was Champion in Green Horse Trail and fifth overall in Cow Horse. Lindsay Kate Gilleland was second overall in Youth Cow Horse. Lindsay Gilleland was Reserve High Point overall in the 14-18 division. Caroline Blackstone was seventh overall in the Novice division. Jenna Seal was third overall in the Green Horse division. Mary Catherine Wade was third overall in the Novice division. Patricia Wingate was the Novice National Champion in Trail and eighth overall in the Novice division. 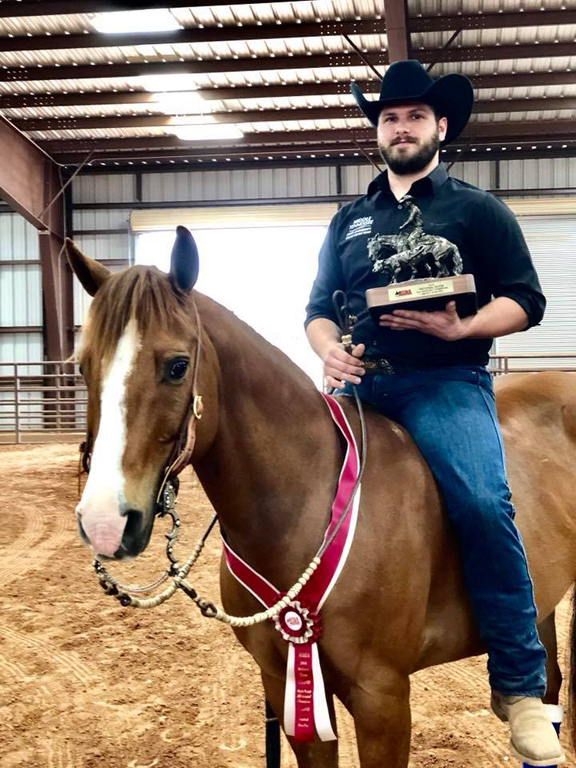 Lucas Brock was the Champion High Point rider in the Limited Non-Pro division, and was ninth overall in the Collegiate division. Jennifer Down was fifth overall in the Green Horse division.